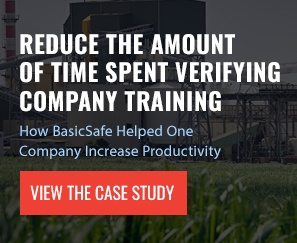 Stay on top of training schedules with BasicSafe’s safety training management software. In this module, you can build training categories and modules and set the frequency of training for each work group assigned to a category. Link employee groups, or individuals, to the modules they are required to complete to keep employees on track with safety training. The system provides alerts for upcoming and overdue training requirements. Monitor employee progress to ensure regulatory compliance and track revisions of training modules and materials. The new quiz builder allows you to create quizzes for employees to self-validate their training completion. Our user-friendly safety training management software helps you stay on top of training requirements without mounds of paperwork.